Homemade Whole Berry Cranberry, fresh cranberries, pomegranate juice, chopped dried cherries, and chopped pecans. The pectin in the berries brings it all together in an amazing dense sauce. Homemade Whole Berry Cranberry Sauce has been on our Thanksgiving dinner table for years. 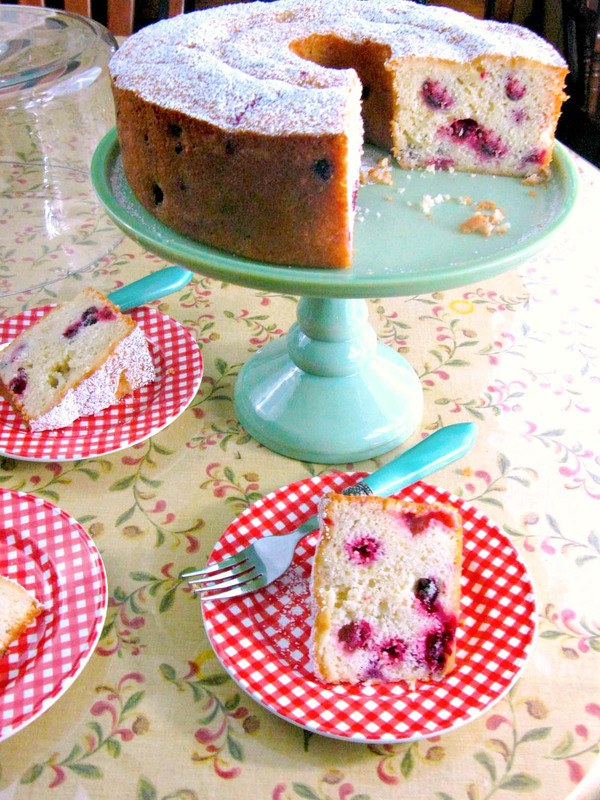 You may be asking the question why homemade? Believe me, you will never buy canned ever again. Mother use to make it from the recipe on the back of the bag of cranberries. 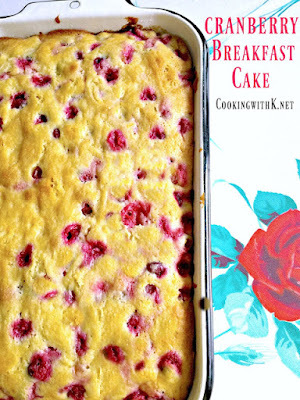 I decided a couple of years ago that I wanted to enhance the sweet tartness of the cranberry flavor. So I added pomegranate juice and chopped dried cherries along with some chopped pecans for some crunch. The family loved the new flavor combination of my spin on an old recipe, and it has become our new tradition for our Thanksgiving meal. Don't you just love making new traditions? Especially with the next generation that is coming up. I have to mention that one of my favorite sandwiches during the holidays is home-style turkey and traditional cornbread dressing with cranberry sauce, mayonnaise and leaf lettuce on multigrain bread! And the new cranberry sauce recipe will bring it to a brand-new level. I am so excited and looking forward to the holidays! 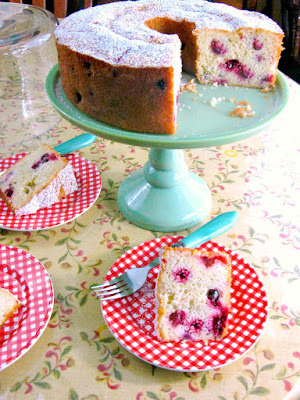 I hope you will make my Homemade Whole Berry Cranberry Sauce for your next holiday get together. This recipe is featured on Meal Plan Monday, I'm Lovin' It, Weekend Potluck, Home Sweet Home, Delicious Dishes Recipe Party, The Scoop, and all these fabulous parties! Fresh cranberries, pomegranate juice, chopped dried cherries, and chopped pecans. The pectin in the berries brings it all together in an amazing dense sauce. 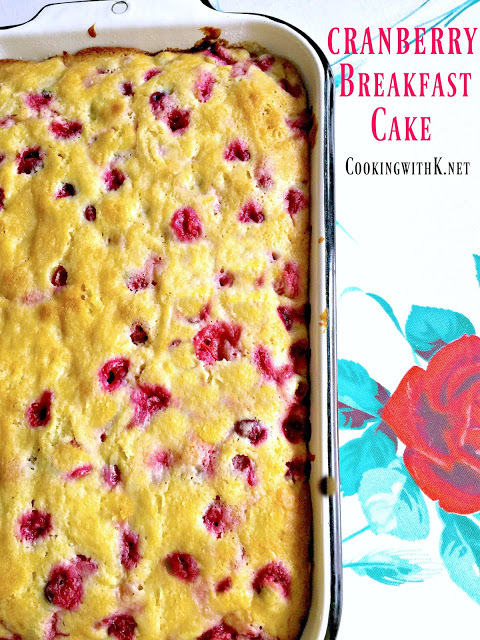 Bring to boil in a medium saucepan, cranberries, pomegranate juice, and sugar. Boil 15 minutes, occasionally stirring, being sure to be careful with cranberries popping, not to burn yourself. The mixture will thicken as it cooks. Add chopped cherries and pecans and mix well. Pour into a bowl and refrigerate. This sounds delicious! I'm a huge cranberry fan, and this sauce sounds easy and delicious. Mom has a great cranberry salad recipe, but this would be fantastic, as well! :) I love Thanksgiving food posts! 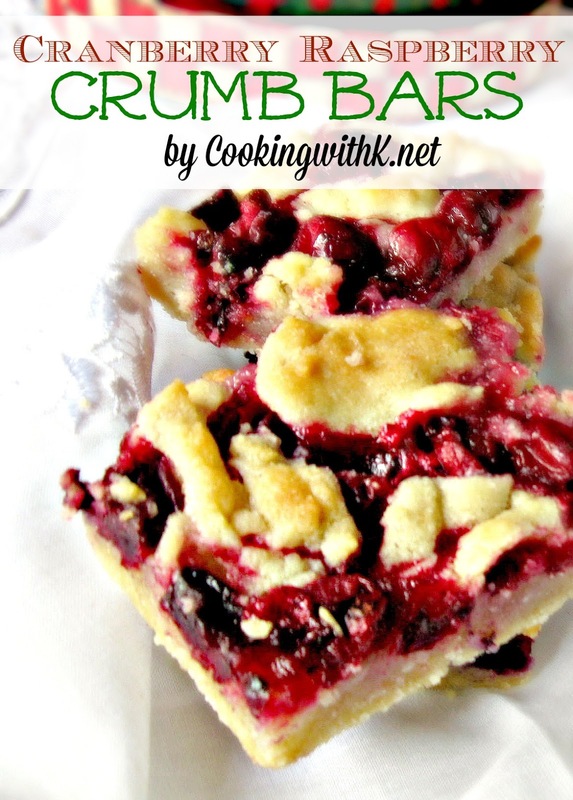 I love homemade cranberries for the holidays. Your recipe looks great! 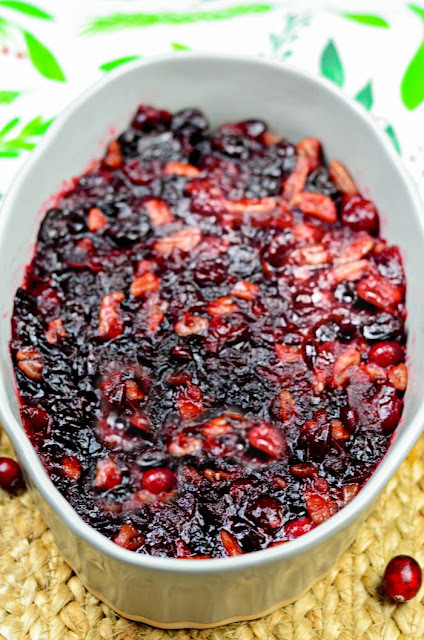 I have never attempted to make cranberry sauce..I always by the oceanspray canned stuff. I think I will give this a try this year!! This is beautiful. Don't you just love the color? I make a cranberry relish that was my Grandmother's recipe. I've never made cranberry sauce. I must give this a try. Thank you Lita ~ you are right...the colors are gorgeous! 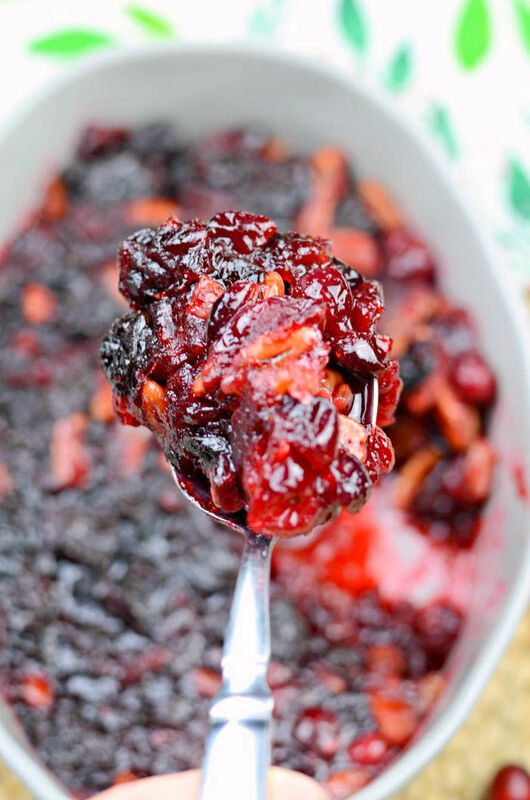 Thanks for stopping by and let me know what you think on your cranberry sauce! 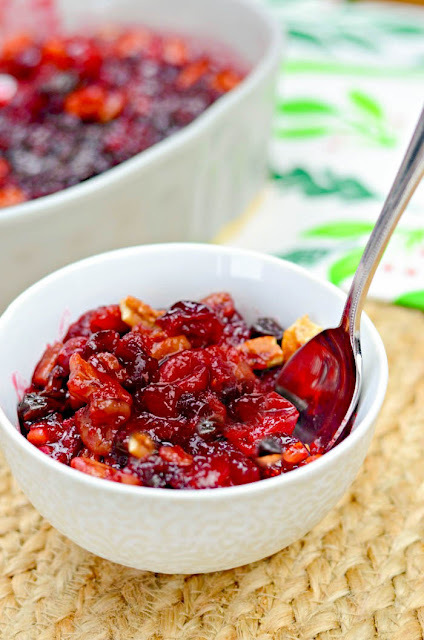 There is nothing better than a great homemade Cranberry Sauce, your recipe looks delicious! Hope you have a fantastic weekend and thank you so much for sharing with Full Plate Thursday. This looks heavenly. Im now following you on Pinterest. Please come visit me at PICKINandPAINTIN.blogspot.com. This looks great -- will be adding this to our Thanksgiving table this week. That looks delicious! Thanks for sharing at Share Your Stuff Tuesdays. Have a great day!